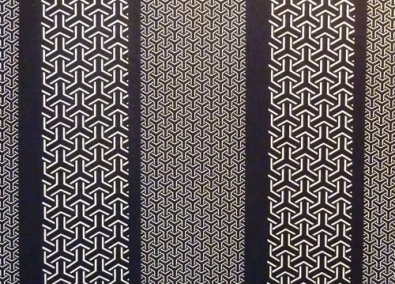 "KIKKO"(Tortoiseshell) --- This geometric pattern is based on "turtoiseshell" and is pronounced "KIKKO" in Japanese. Turtle is well-known as the symbol of "longevity" as a "crane". There is a famous proverb that " Cranes live for 1.000 years, turtles live for 10.000 years." in Japan. This design is popular with both men and women because it looks very chic and cool !! "KIKKO" --- This geometric design is very chic and cool !! It is based on "tortoisehsell"symbol of "longevity". 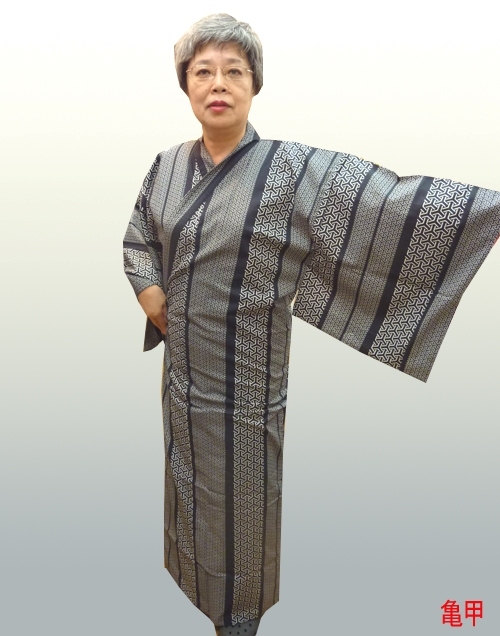 "YUKATA" robe --- it is a very popular style in Japan and loved regardless of age widely as the bathrobe by many people. The defference of Unisex (Men's) and Lady's is just the shape of sleeves. The sleeves of Unisex (Men's) are "square shape", but Lady's ones are "rounded shape". Both of the width are same. It promises your comfortable sleep and relax time !! This cotton fabric is very smooth and soft. 100% cotton wicks away moisture. With the same fabric sash belt attached in the bottom of the sleeve. Wash separately. 100% cotton. Machine wash warm gentle. Do not bleach. Medium hot iron. Keep away from fire. Designed and made in Japan.